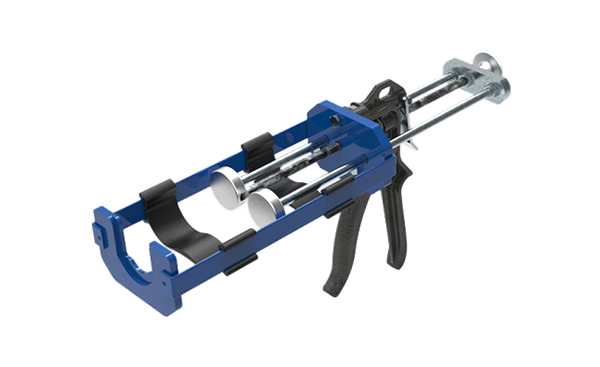 At Integra, we manufacture our adhesives in house, we designed and manufacture our cartridges, so it made sense that we design our own dispensing systems as well. We want to create the best and easiest system for fabricators to achieve seamless results, consistently. We worked with fabricators and our team of adhesive professionals to develop durable, high-end dispensers and mixing tips which we continue to iterate and improve upon. When we developed the 100ml cartridge, we wanted to create a system that anyone could use with common equipment. 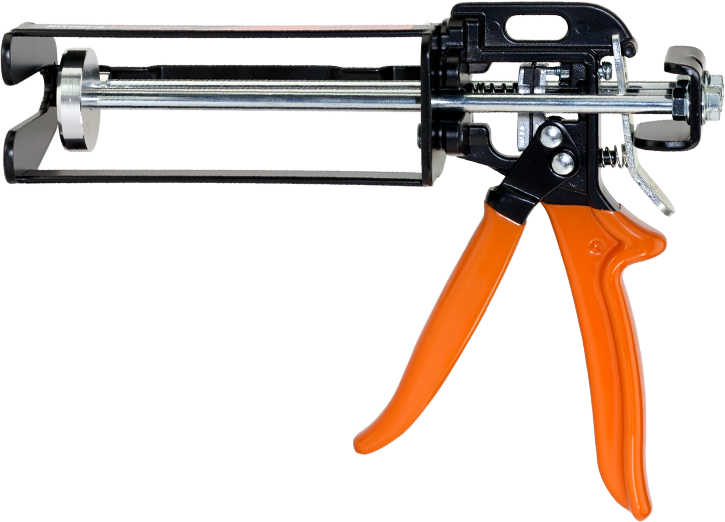 We decided that a caulking gun would be the best choice since they can be purchased at any tool store, and most shops have dozens readily available. However we found that most caulking guns just weren’t up to snuff. They weren’t designed to dispense dual-component adhesives. They are flimsy and lacking features, so we designed our own. 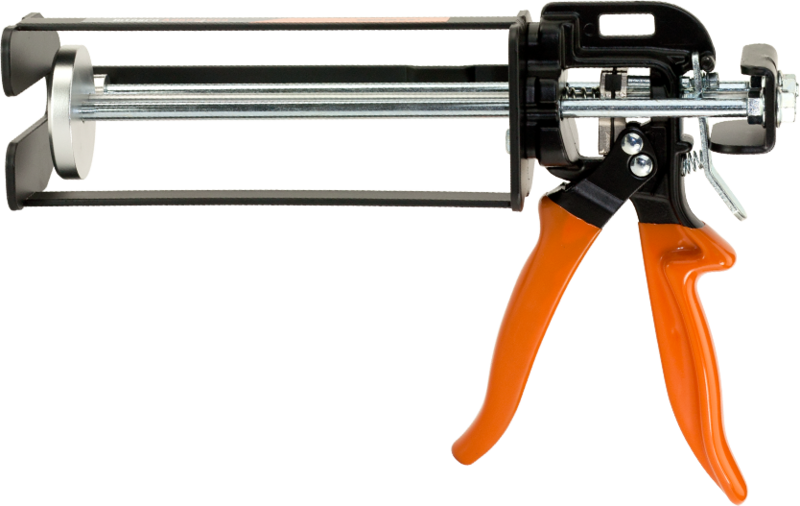 Our 250ml Dispensing gun was designed to raise the bar for the industry when it came to dispensing options for 10:1 guns. We designed the dispenser to be universal to make it easier for those those transitioning to the Integra system, or who use multiple systems, or those who use other 10:1 adhesives, but simply want a quality dispenser. Our 500ml Dispenser was built on the foundation of the successful 250ml Dispenser. This dispenser features an increased mechanical advantage, so the higher volume cartridges are just as easy to dispense, but not so high as to cause over-pressurizing of the cartridge. Will accommodate many of the 400ml & 470ml cartridges on the market. Our 200ml Dispenser is compatible with most standard 1:1 200ml cartridges as well as 2:1 200ml cartridges. It features all the great benefits seen in our other dispensers. The COX 400ml Dispenser is compatible with most standard 1:1 400ml cartridges as well as 2:1 400ml cartridges, and is meant for use with the Integra Component Bonder. It features all the great benefits seen in our other dispensers. Integra endorses the Newborn VR400A83 Pneumatic Dispenser as the premiere Pneumatic dispenser on the market. It’s unique design makes it compatible with both our 250ml and 500ml cartirdges. This high quality dispenser is also compatible with many 1:1, 2:1, 4:1 and 10:1 cartridges on the market. For Use with 250ml & 500ml Cartridges, also fits 200ml/400ml/470ml cartridges along with many others! The X-Stream Mixing Tip features a bayonet fitting, so you don’t need to worry about saving a retaining nut for holding your tip in place. The bayonet fitting makes for fast, easy attaching and removal. 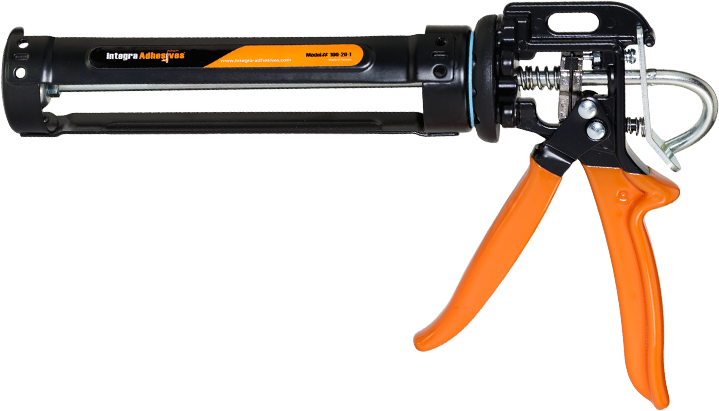 The X-Stream separates the two components from the nozzle of the cartridge, eliminating cross-contamination. Its unique design divides the activator into two separate streams the adhesive into 4 streams to ensure excellent mixing throughout. This allowed us to make the tip smaller, and vastly reduce the amount of wasted material left stuck in the tip housing. 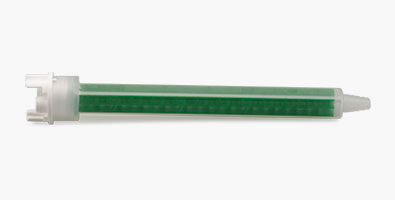 The X-Stream Large Mixing Tip features all the great benefits of the standard X-Stream Mixing Tip, but has a larger tip body for high-viscosity materials. This tip was designed to be used exclusively with the Rodding Bonder RD50, which is a higher viscosity product. To reduce hand fatigue, we developed this mixing tip. The X-Stream Stone Bonder Mixing Tip features all the great benefits of the standard X-Stream Mixing Tip, but is specially designed for the extreme viscosity of our dripless Stone Bonder adhesive. Extra elements have been added to ensure the perfect mix, every time. A disposable mixer for our 200ml Substrate Bonder SB100 cartridges. Depending on the application in question, the stepped outlet can be adjusted by cutting. The mixer has a single lead 7/8″ x 9 thread and can be screwed directly onto the cartridge without the need for a separate retaining nut. A disposable mixer for our 400ml Component Bonder cartridges. The mixer gives optimal mixing in a smaller footprint than traditional mixers, allowing users to work more closely with the materials they are bonding. The real value of the nozzle is the way it connects to the cartridge, through two separate outlets, guaranteeing there is no product contamination prior to dispensing. 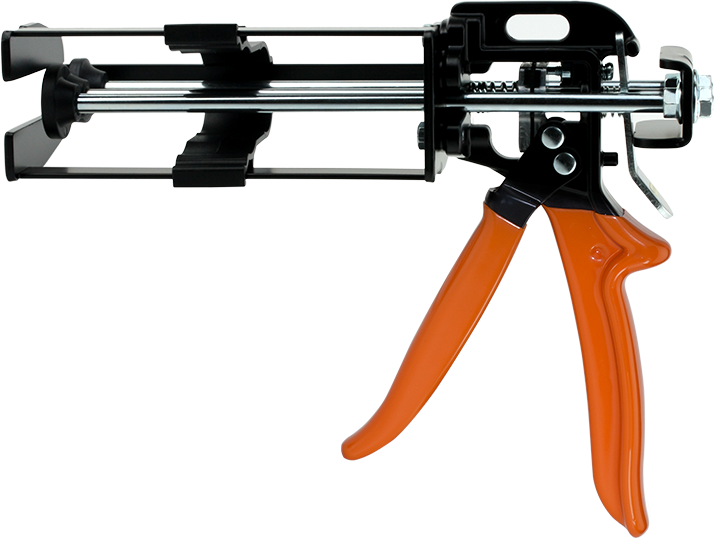 This reduces clogging and extends cartridge life.